Beebe Medical Group and Beebe Healthcare Welcome Audiologist Jean Marie Davison, Au.D. Beebe Medical Group and Beebe Healthcare are pleased to welcome new audiologist Jean Marie Davison, Au.D. Dr. Jean Davison has joined Beebe Medical Group’s ENT & Facial Plastic Surgery practice located in the Beebe Medical Arts Building at Beebe’s Rehoboth Beach Health Campus on Route 24. She joins the practice of Dr. Justin Elder, DO, Board Certified in Otolaryngology and Facial Plastic Surgery. Davison brings more than 25 years of experience in audiology to Beebe Medical Group. She received her Doctorate of Audiology degree from Central Michigan University and served as a graduate assistant at Adelphi University, in Garden City, New York. 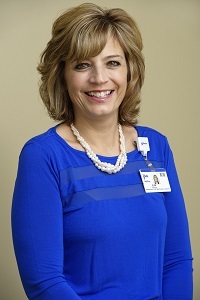 She moved to Delaware in 1989 and started the audiology program at Nanticoke Memorial Hospital. At Beebe, Dr. Davison will provide state-of-the-art hearing evaluations, as well as hearing aid evaluations, both fitting and repair, and customized ear plugs for swimming, noise protection, and assistive technology. Beebe ENT & Facial Plastic Surgery, along with the new audiology practice, is located at 18947 John J. Williams Highway, Suite 201, Rehoboth Beach. Davison is currently accepting patients. For more information or to make an appointment, call (302) 645-4801. Beebe Medical Group, the employed physician entity under Beebe Healthcare, continues its expansion, and is currently comprised of 18 medical specialties in 25 locations throughout southern Delaware, with more than 101 medical providers and 151 support staff. Beebe Medical Group providers include the specialties of audiology, dermatology, endocrinology, gastroenterology, infectious diseases and travel medicine, otolaryngology, pulmonary & sleep disorders, urology, vascular, surgical oncology, cardiac surgery, internal medicine and family practice. Hospital-based providers include: the Hospitalist division and its nurse practitioners; the Observation Unit nurse practitioners; the neonatal nurse practitioners with the Women’s Health Department; and Dr. Abraham Scheer, the Board-Certified neurologist who oversees Beebe’s accredited Stroke Center. Beebe Medical Group also staffs Walk-In centers located in Millville, Millsboro and Georgetown, as well as a weekend Walk-In in Lewes.